Invasive cordgrass (Spartina spp.) 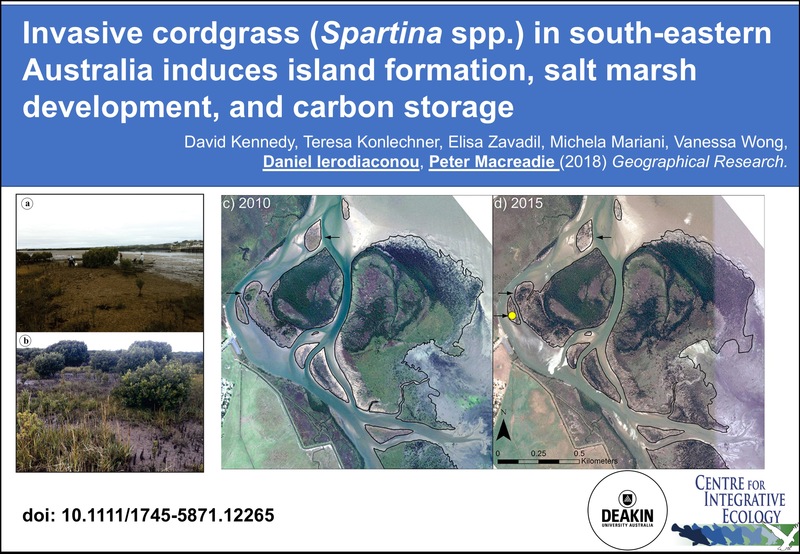 in south-eastern Australia induces island formation, salt marsh development, and carbon storage. See the paper at Geographical Research.